From Left to Right: Pictured: Bakhsheen Taha Solaee, Biza Barzo and Sazan M. Mandalawi. Source: Rudaw. Families across Iraqi Kurdistan gather for Newroz to welcome the new year, according to traditional Kurdish and Iranian calendars, and to celebrate their centuries-old culture of resistance. Kurds celebrate Newroz — also spelt Nawruz — with poetry, dance, fireworks, bonfires and by jumping over fire. Newroz represents much more than an ancient Zoroastrian tradition to the Kurdish people. For centuries Newroz and fire has symbolized resistance for the Kurdish people. Their ancient mythology is peppered with stories about a blacksmith defeating a ruthless powerful tyrant on the first day of Newroz. Even today, as the Kurdish people are split between modern-day Turkey, Syria, Iraq and Iran, Newroz celebrations help visibly challenge the suppression of Kurdish identity from Arab or Turkish nationalism. For Kurds celebrating Newroz, the flamboyant, colourful and traditional Kurdish clothes Jili Kurdi has become essential. But for many Kurdish families in war-torn Iraq, Jili Kurdi has become an unaffordable luxury. 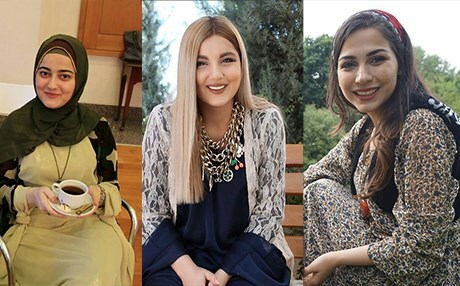 To tackle this issue, activists launched the campaign #KurdishClothesForAll on social media asking people across the region to donate Kurdish clothes. 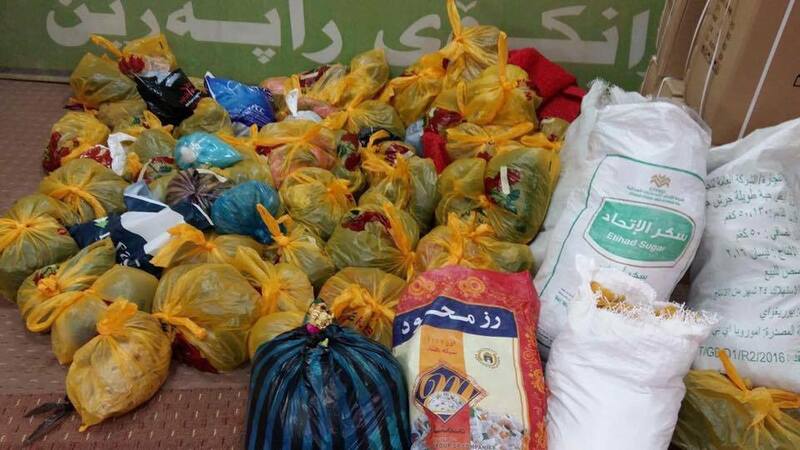 Over a thousand people shared the hashtag on Facebook and Twitter and many volunteered to help distribute the donations left at pick-up points in Sulaymaniyah, Erbil and Duhok. 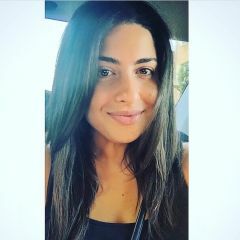 Speaking to Global Voices, Biza Barzo, a 23 year old student at the American University of Iraq-Sulaimani, and one of the initiators of the campaign, said that over 450 families living in impoverished areas received new Kurdish clothes to wear on Nowroz. Clothes ready to be delivered. Photo Source: Biza Barzo on Facebook. According to an ancient myth, Kurds lived under the ruthless tyranny of Zuhak who would not allow spring to come to Kurdistan. Kawa, a blacksmith, trained an army of rebels and defeated Zuhak on the first day of Newroz. The victory was marked by the setting ablaze of hilltops. Fire has been used since as the symbol of the Kurdish struggle for freedom. It is for this reason that the biggest Newroz celebrations in Iraqi Kurdistan take place in Akre, also known as Aqrah, in the Nineveh Governorate, under the control of the Kurdistan Regional Government (KRG). The town is said to be the birth place of Kawa and it is perhaps the place where the spirit of Newroz can be felt the most. A fire is lit on the hilltop by people with torches who then run down in a zig zag igniting more fires on their way. At the bottom of the hill, beside the 19th century Ottoman buildings, people dance to the sound of fireworks and Kurdish folk music, while others jump over bonfires. While some Kurds can celebrate Newroz more freely than others, they share the dream of following the example of Kawa and putting an end to tyranny. Across the border from events in the KRG, Kurds in Manbij, Northern Syria, celebrated Newroz this year for the first time since their liberation from ISIS rule last year. Alongside Kurds, other ethnic groups inhabiting northern Syria, including Arabs and Turkmen, took part in the festivities, signaling a possibility for peaceful co-existence between them in the area.